You may already have a full-time job, but that doesn’t necessarily mean you’re happy with your financial situation. For many people, their careers help to pay their bills and keep them financially stable in the present day. But what about the future? If you’re going to have enough money for a nice retirement, or your children’s college funds then you need to do more than simply cover your costs. You need to accumulate additional wealth. It’s all about planning ahead. Luckily, you don’t have to settle for one source of income in the modern world. 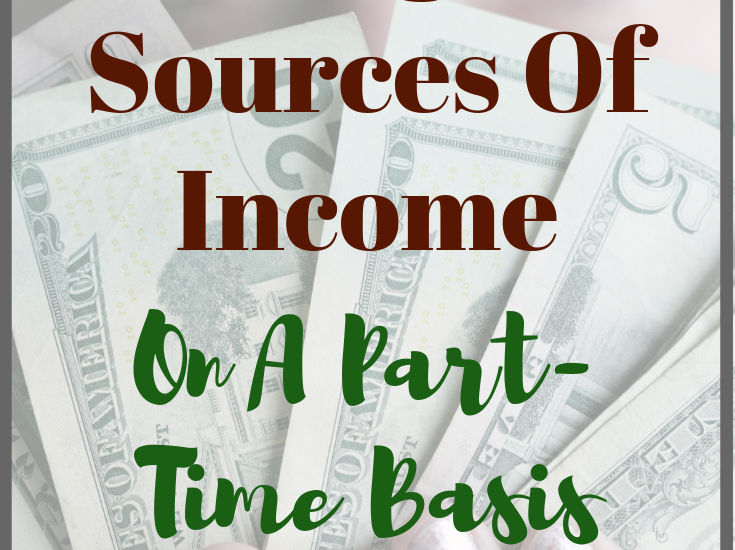 The following ideas might help you to earn new sources of income on a part-time basis. Before you start applying for part-time jobs, consider the easiest way to earn some money with minimal effort: using the internet. The online world offers an abundance of opportunities to pocket a little cash on a regular basis. For starters, online surveys provide a brilliant opportunity to make a nice little sum of money by answering simple questions for a few minutes at a time. Some sites will pay you in redeemable points, some will pay you in vouchers, and some will pay you directly in money. 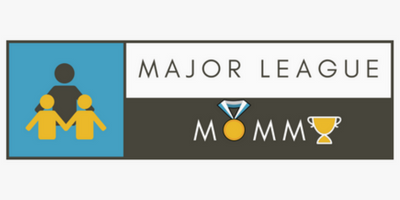 Whatever the case, you’ll receive rewards of monetary value simply for answering questions. Another good opportunity to make some money is to look into referral bonuses. So many companies offer them because it’s a win-win situation; they increase their client base, and you increase your wealth. Some businesses might offer you discounts on their goods if you refer a friend, so it’s worth only getting involved if the company sells things you want or need. There are lots of great referral apps out there too. Groupon is a great one for making some quick cash. You could also earn new sources of income by investing. This is a great way to increase your wealth on a part-time basis. If you invest in valuable assets, wait for their value to increase, and sell then you’ll make a profit. The property market is the perfect example of this. Buying and selling property (or leasing if you want to bring in a steady income) is a fantastic way to make big returns on your investments. You might even want to look into a real estate agency such as William Pitt to help you out. 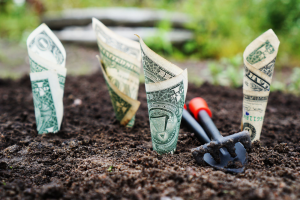 If you’re going to invest your savings then it’s a smart idea to get some professional assistance to ensure you’re spending your money wisely. 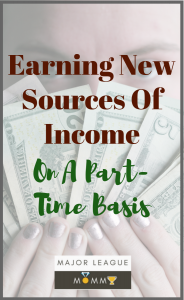 A lot of our suggestions have come back to the internet, but that’s because it’s a fantastic resource for anyone who wants to make money on a part-time basis. You could make a sizeable bit of cash by using auctioning sites such as eBay. You might want to start off by selling your old and unwanted possessions, but you could build a proper business if you enjoy the process. Buy old things, fix them up, and sell them on for a profit. It’s a great way to earn new sources of income on a part-time basis. Enjoyed this post? Don’t forget to join in the conversation on our Facebook! We would love for you to share some of your favorite side hustles. See you there!